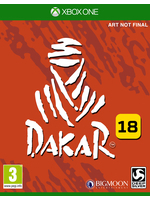 Beware, DAKAR 18 will not be for everyone as the devs clearly target a niche audience with a realistic take on the famous race. In the 18000 km² available, you will have to find your way to the next checkpoint (of which there are many), something that might take you quite a while. 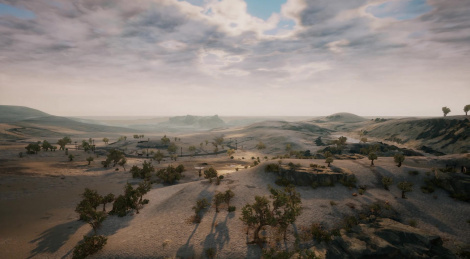 It can take an hour or more to complete a stage, with chances to get stuck in the mud, which will require you to get out of your car to try and find a solution. As you will see, the game's graphics show its more limited budget than say Forza Horizon 4, but if the devs manage to achieve what they told us they have in mind, it could be an interesting experience. The presentation we attended at Gamescom proved their enthusiasm and motivation, let's hope their passion will transfer well into a solid racing/adventure game. Note: Most of the videos we were sent were encoded with a strange framerate (29.98, 29.99, 30.01, 30.05 instead of the normal 29.97 fps), so don't judge the framerate in the following footage. Assetto Corsa was not such a huge success in the sim genre because of its graphics, so we'll see how it plays, that's what counts the most after all. At least for the niche of players they're going for. While it's definitely not my cup of tea and wandering aimlessly would end up frustrating me more than being fun, I still welcome this new type of experience. It's great to see developers try new and different things, there's already a ton of standard Rally and Racing games out there. This at least separates itself from the rest and I'm certain if the gameplay is great, it will find an audience and success, however limited both may be. Based on that bike footage there is a fundamental issue with physics as well as visuals though. Assetto Corsa at least got the former right.